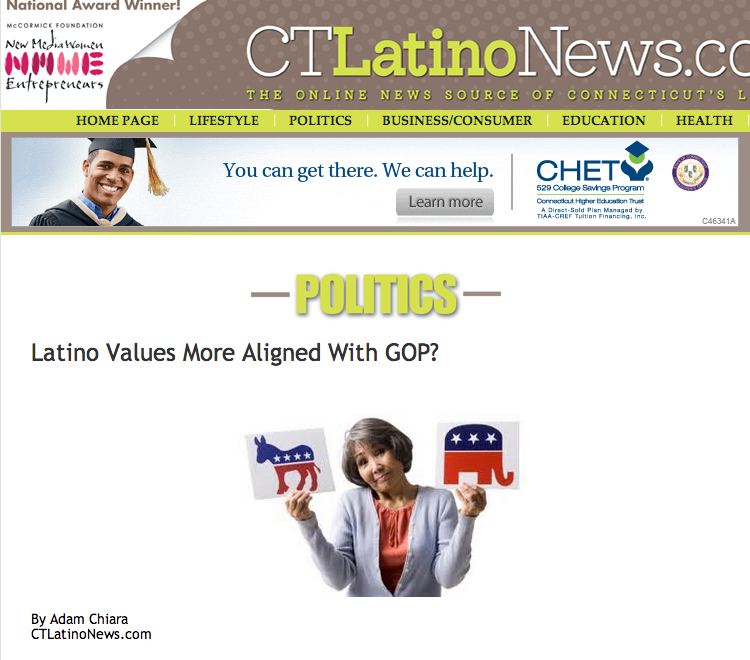 Latino Values More Aligned With GOP? Connecticut may be a blue state, but many Latino Republicans wonder why there aren’t more Hispanics registered in the Republican Party. This is surprising to the state’s most influential Latino Republicans because they believe that Latino culture aligns more with Republican viewpoints than Democratic ones. “Hard work, education, self-sufficiency, strong religious moral fabric — those are all qualities that more align with not only Latinos but also the Republican Party,” said Isaias Diaz, an attorney and former chair of the Latino and Puerto Rican Affairs Commission. Diaz, now 37, was originally a Democrat, because he says, “I thought that’s what I was supposed to do because I was poor and I was Puerto Rican.” He changed his affiliation in his early 20s after realizing that he was not on board with what he saw as the Democratic platform. Malvi Lennon, a former candidate for state representative in Windsor, agrees that Latinos, especially in Connecticut, should be able to identify themselves as conservatives. However, she believes they are primarily Democrats because Republicans have lost control of the messaging.